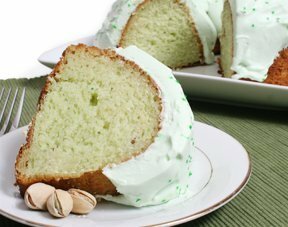 Top off your St. Patrick's Day celebration with this festive pistachio-flavored cake recipe with its creamy whipped topping-based pistachio frosting. This ultra-moist Bundt cake is sure to be a crowd pleaser. See how to prepare racks of lamb in the "Guard of Honor" manner. Use this special presentation for your St. Patrick's Day lamb dinner. See how easy it is to roast a rack of lamb for a mouth-watering St. Patrick's Day dinner.